Enterprises like yours face the growing risk of cyberattacks, which increases your exposure to the risk of data loss. One of the most menacing forms of these is ransomware, where your data is encrypted and literally held ransom—until you pay cybercriminals to release it, or you recover your data from a point in time before your systems were attacked. 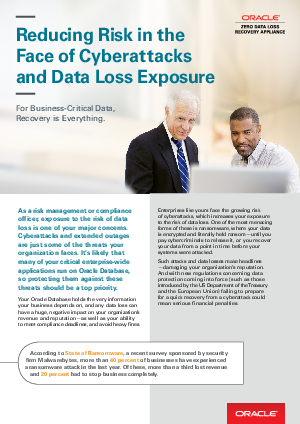 Such attacks and data losses make headlines —damaging your organization’s reputation. As GDPR from the EU is already in force, failing to prepare for a quick recovery from a cyberattack could mean serious financial penalties.